And here are the three winners. Although the are just hitting US showrooms, the automaker is already in the early stages of developing its most iconic vehicle’s successor. The specifically for high school students in grades 10-12, has chosen its 2018 winners. 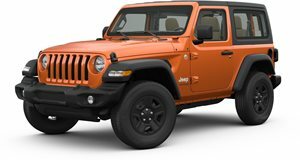 But first, the challenge itself: come up with a design proposal for the 2030 model year Jeep Wrangler. Just have at it. Use your imagination. This year’s winners were: First place – Eduard Cret, Design and Architecture Senior High (Miami, Florida) Second place – Emily Bryson, Design and Architecture Senior High (Miami, Florida), and in Third place – Jinho So, Canisius High School (Buffalo, New York). 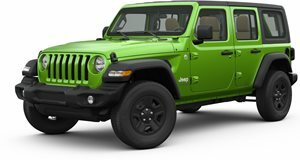 The design proposals ranged from an evolutionary design to radical, and something in between (we particularly like the Wrangler Victus). All three students will receive a special behind-the-scenes tour of the FCA US Product Design studios and a two-week summer automotive design course at Lawrence Technological University, who partnered with FCA for this year’s contest. Other prizes include passes to the “Eyes On Design Automotive Design Exhibition” in Michigan, an Apple iPad and Apple Pencil, and finally, the Wacom MobileStudio Pro 16, a specialized computer allowing for large space drawing, concept art, 3D sculpting and painting, motion graphics and advanced image editing. You know, everything a professional car designer needs.